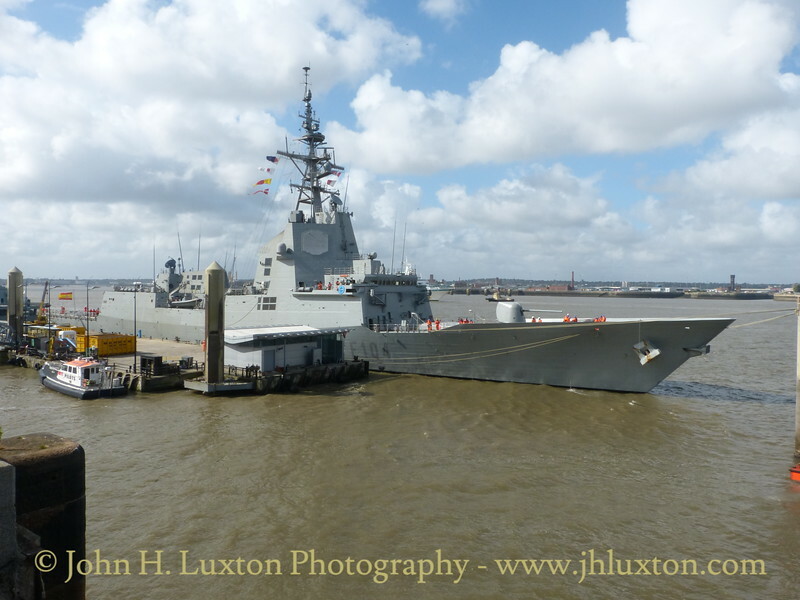 The MÉNDEZ NÚÑEZ is an Álvaro de Bazán class (also known as the F100 class of frigate) ia new class of Aegis combat system-equipped air defence frigates entering service with the Spanish Navy. 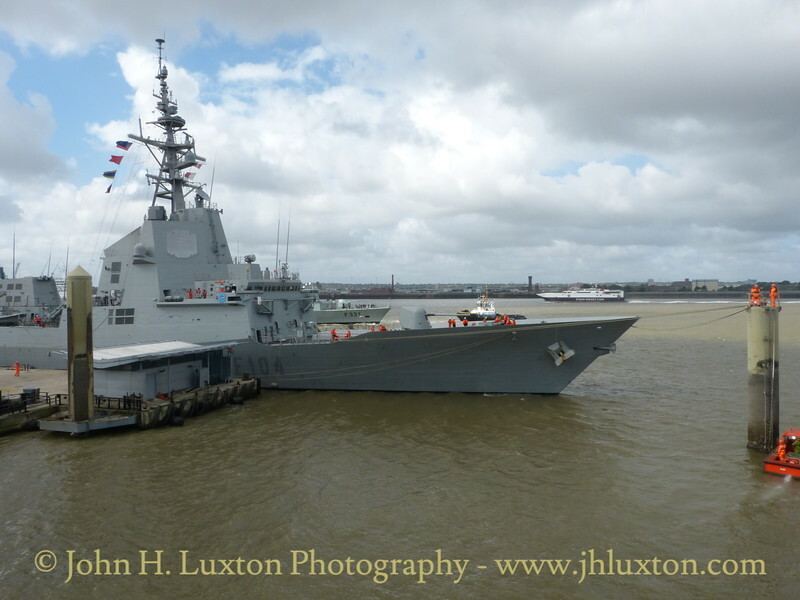 They are being built in the Spanish factory of Navantia in Ferrol and are named after Admiral Álvaro de Bazán. 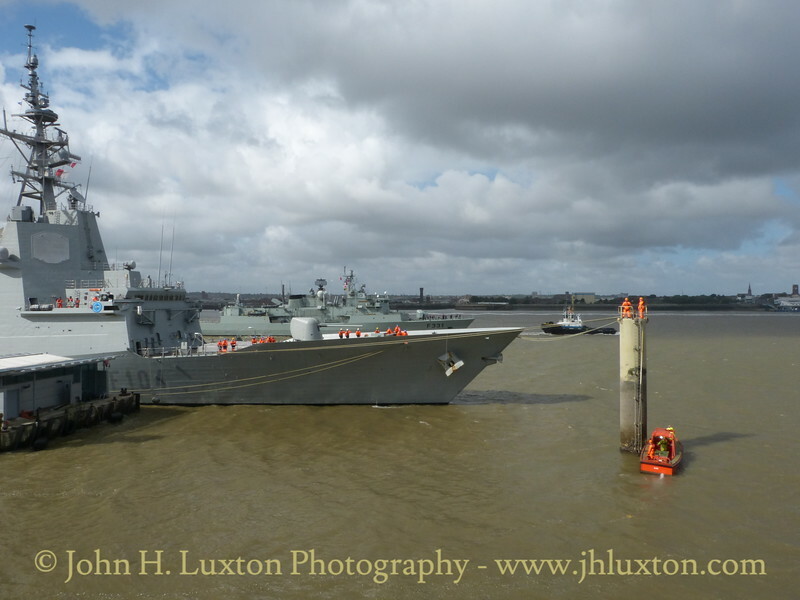 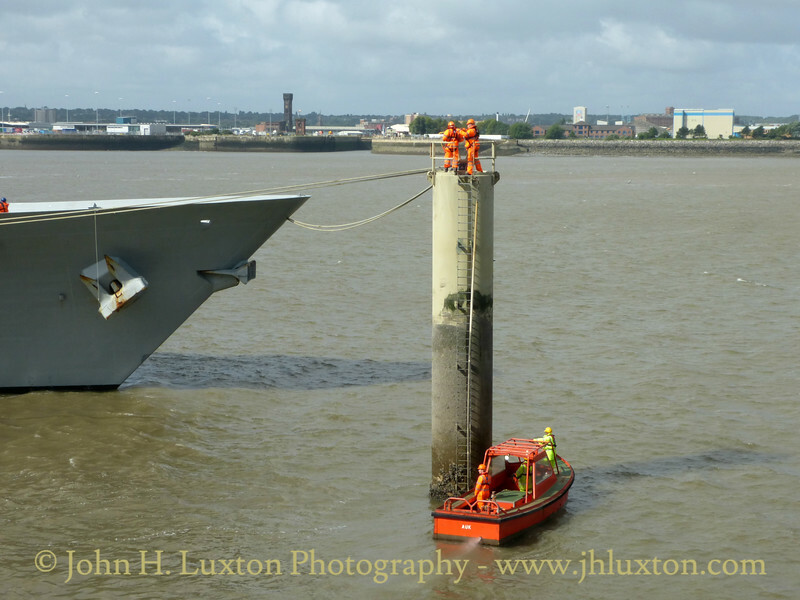 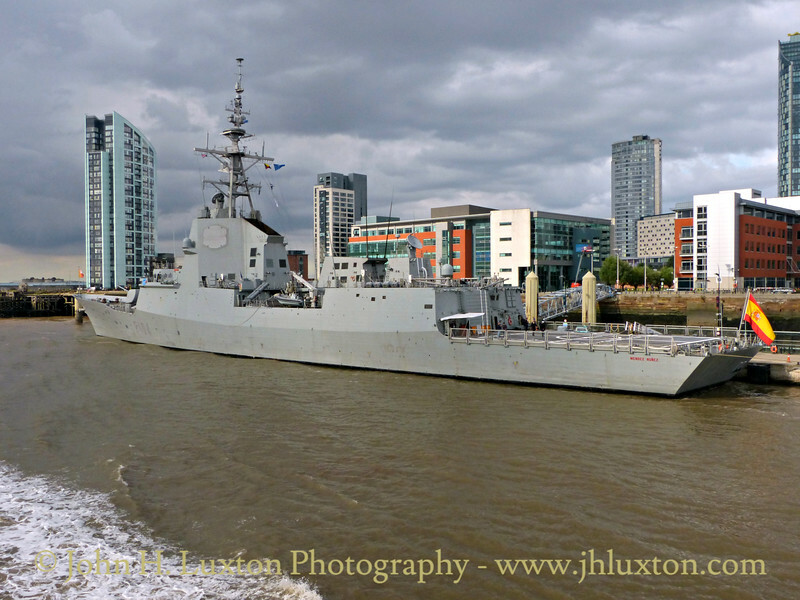 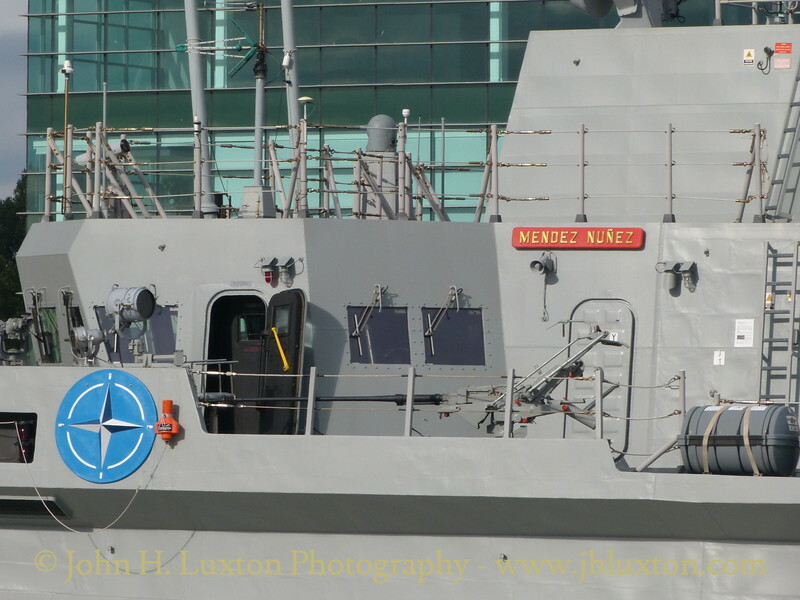 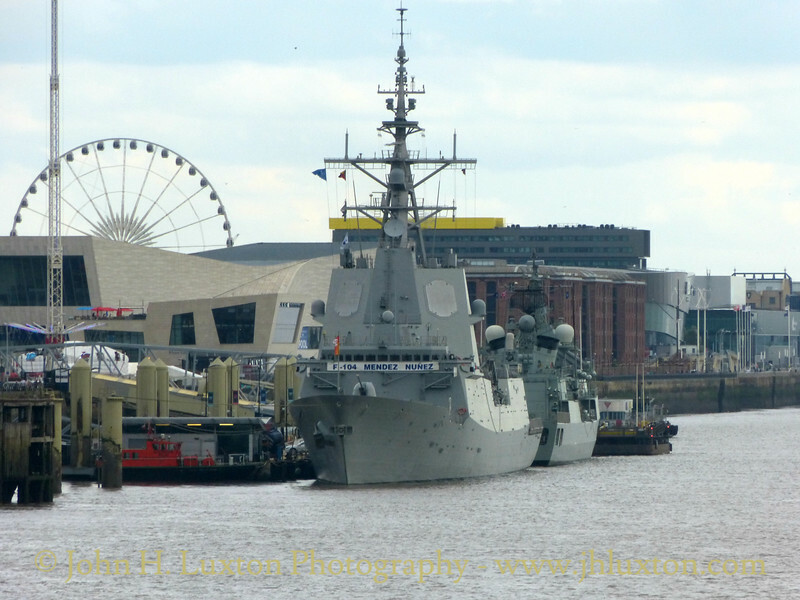 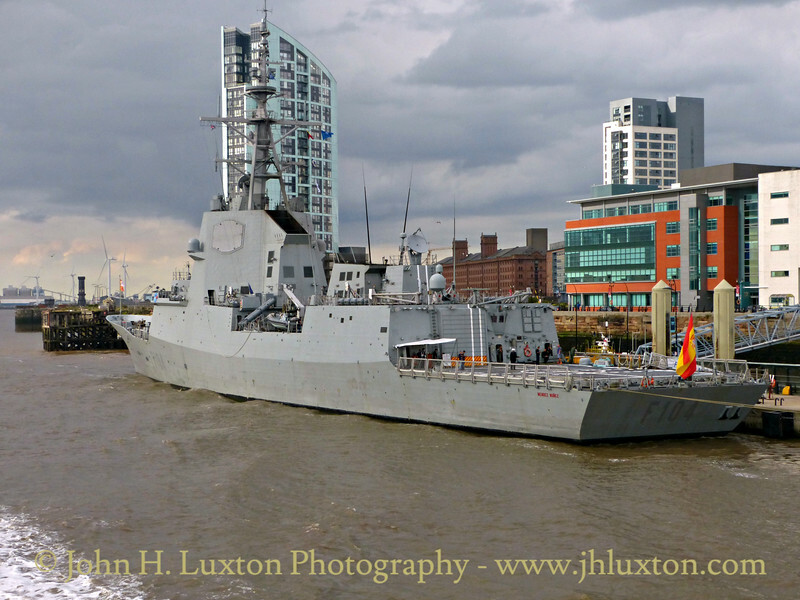 Spanish Navy Frigate F104 MÉNDEZ NÚÑEZ alongside Liverpool Cruise Terminal on Friday August 05, 2016. 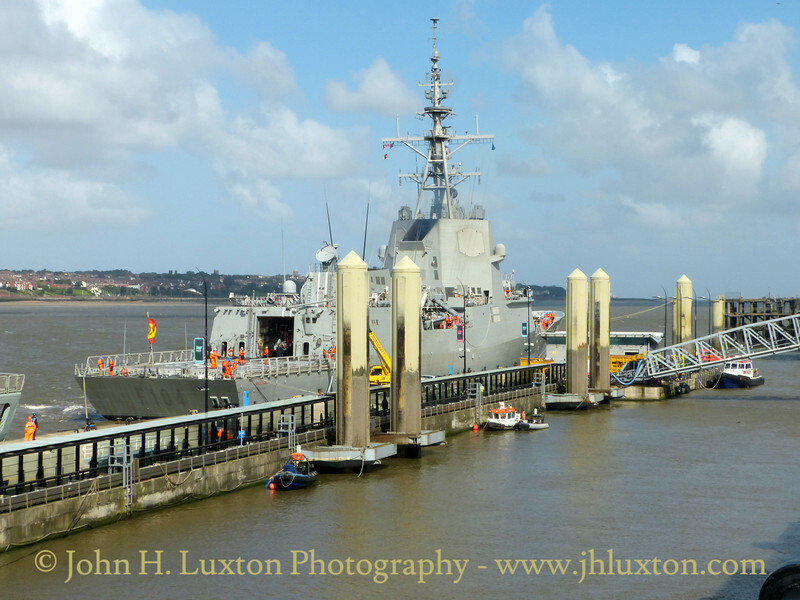 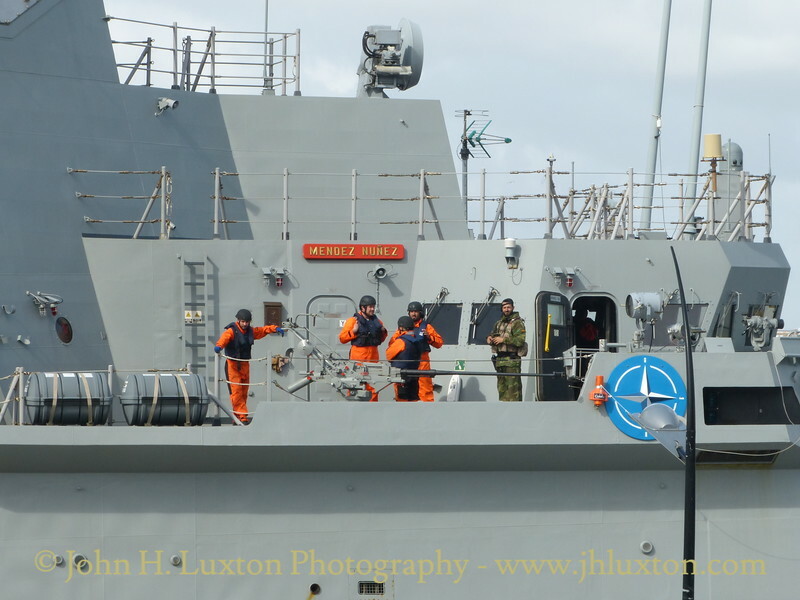 She was accompanied by the Portugese Navy warship ALVARES CABRAL. 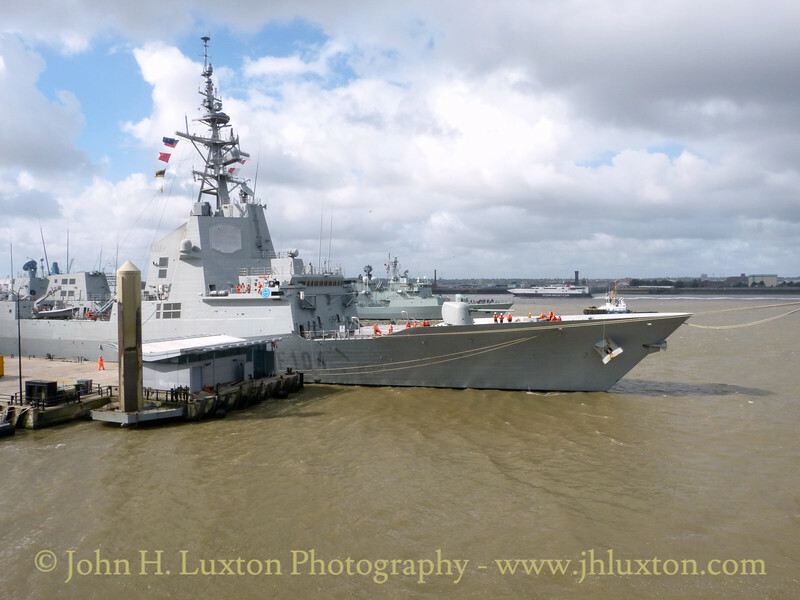 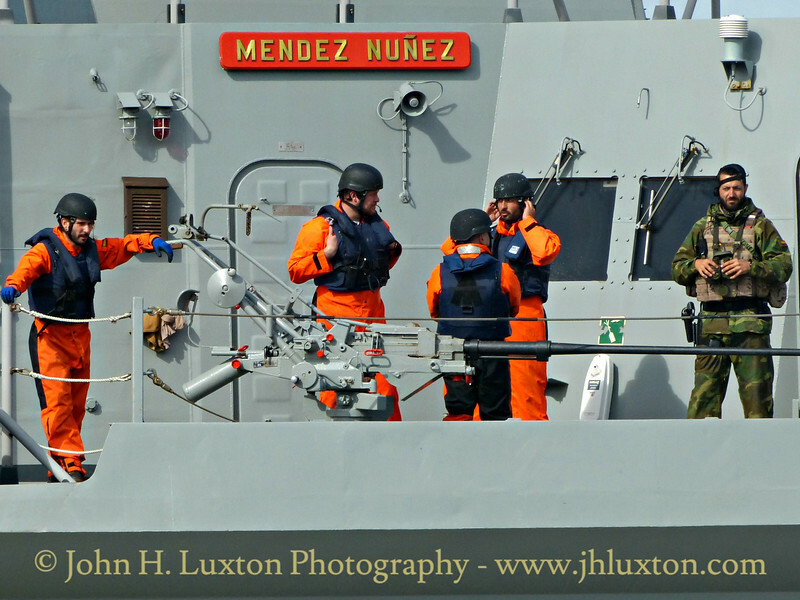 Spanish Navy Frigate F104 MÉNDEZ NÚÑEZ departing Liverpool Cruise Terminal on the morning of August 08, 2016.